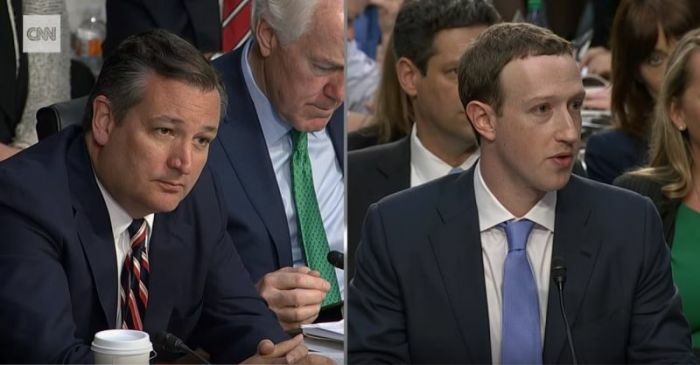 Senator Ted Cruz of Texas grilled Facebook CEO Mark Zuckerberg over claims that the world's largest social media website has a bias against conservatives. Zuckerberg testified Tuesday afternoon before the Senate's committees on Commerce and Judiciary on concerns including data privacy and Russian misinformation on Facebook. During his line of questioning, Senator Cruz inquired about alleged political bias at Facebook, asking if Zuckerberg considered the social media site to be a "neutral public forum." "Mr. Zuckerberg, I will say there are a great many Americans who I think are deeply concerned that that Facebook and other tech companies are engaged in a pervasive pattern of bias and political censorship," stated Cruz, as quoted by a Bloomberg Government transcript. Cruz listed several examples, including Gizmodo reporting in 2016 that Facebook had purposely suppressed conservative stories from their trending news, like stories about CPAC and the Lois Lerner IRS scandal, Facebook initially shutting down the Chick-Fil-A Appreciation Day page, blocking over two dozen Catholic pages, and other incidents. Zuckerberg responded that he understood the concern, acknowledging that the information technology industry of Silicon Valley "is an extremely left-leaning place." "This is actually a concern that I have and that I try to root out in the company, is making sure that we do not have any bias in the work that we do, and I think it is a fair concern that people would at least wonder about," replied Zuckerberg. Cruz continued to press the Facebook head, asking him if he was aware of any liberal groups or causes that experienced censorship from the social media site, to which Zuckerberg said that he was unaware of any examples. "Are you aware of any ad or page that has been taken down from Planned Parenthood?" Cruz asked Zuckerberg. "Senator, I'm not," Zuckerberg answered. Cruz then asked about why Palmer Luckey, inventor of the Oculus Rift who is known for supporting conservative politicians and causes including Cruz, was dismissed from Facebook. In 2016, The Daily Beast reported that Luckey had ties to a pro-Trump group called Nimble America. Soon after, he was gone from Facebook. "That is a specific personnel matter that seems like it would be inappropriate to speak to here," responded Zuckerberg, adding "it was not because of a political view." "We're proud of the discourse and the different ideas that people can share on the service, and that is something that, as long as I'm running the company, I'm going to be committed to making sure is the case." 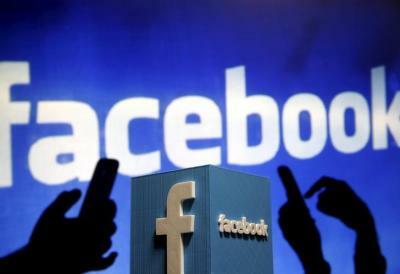 In recent years, many have expressed concern over anti-conservative censorship on prominent Internet outlets including Facebook, YouTube, Twitter, and Google. For example, Facebook originally banned paid ads for a pro-life film being made by Alveda King, eventually reversing their decision after claiming they had acted in error. In January, Facebook took down the West Virginia-based Warriors for Christ ministry page, which had about 225,000 followers and often posted socially conservative views, accusing it of hate speech and bullying. While promoting its academic programs on Facebook, The Franciscan University of Steubenville had their ads censored due to them including a crucifix. Facebook responded that they censored the image of Jesus dying on a cross because it violated their ban on "shocking, sensational, or excessively violent content." By contrast, when the woman behind the socially conservative "Activist Mommy" page had a group formed seeking to burn her alive, Facebook responded to her complaint by noting that the group "doesn't go against one of our specific community standards." Facebook had previously suspended the "Activist Mommy" Facebook page for a time after posts on what the Bible says about homosexuality. Last month, the National Religious Broadcasters' (NRB) International Christian Media Convention held a panel of speakers that spoke of their experiences of censorship from these outlets. Marjorie Dannenfelser, president of the Susan B. Anthony List and member of the panel, spoke about how Facebook and Twitter have censored many of her organization's posts. "There's a history of trying to shut down," said Dannenfelser. "To shut that down means to shut down the core of our Constitution and our founding documents. It simply cannot happen, and it is. The consequences are pretty horrendous for our nation, honestly."